<h2>Confronting cultural history leads to stronger European identity</h2><br /><p>As a historian at the Hungarian Academy of Sciences, Dr Sándor Horváth hopes that&nbsp;tying together archives, museums and private collections that focus on the culture of dissent under communism can enable Europeans to better understand one another.</p> <p>'The Iron Curtain still defines contemporary mindsets, especially in the core countries of the EU,' said Dr Horvath. 'It is often forgotten that there was a very rich cultural exchange between Eastern European countries (with the West) even during the socialist era. '</p> <p>He works on the EU-funded COURAGE project, which aims to understand the cultural heritage of dissent in the former socialist countries. COURAGE, which is ongoing, is a registry of cultural opposition in former socialist countries in Europe, in both private and public collections. 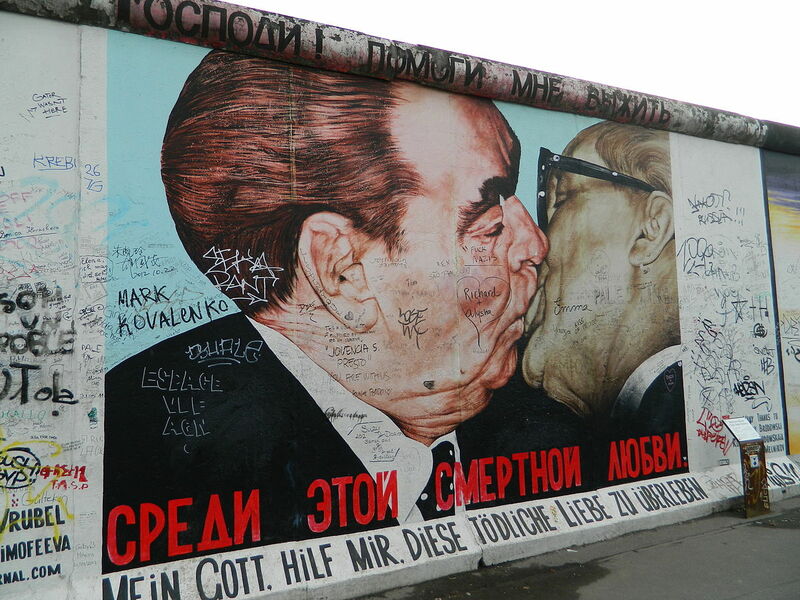 Dr Horvath says that those intercultural connections laid the groundwork for the blossoming of democratisation movements in the late-1980s and the 1990s.</p> <p>'These states started to integrate with other European countries well before the fall of the Iron Curtain. It's very important to show that the people living in these countries were already somehow thinking that they were part of a European community even if they were not conscious about it,' he said.</p> <p>Researchers from his team are using exhibitions of artefacts from that time to help bridge the cultural gap between East and West, as well as introduce to the broader public how ex-socialist countries kept pace with Europe as a whole.</p> <p><strong>Recognition</strong></p> <p>Many artists have achieved wider recognition in the art scene since the fall of communism, like painters from the 1960s and 1970s avant-garde such as Czech modernist Mikuláš Medek or Bulgarian resistance artist Atanas Patsev.</p> <p>'At the moment we have a registry of 200 collections in 15 countries,' said Dr Horvath. 'We also want to include small private collections that are almost invisible to help them survive and flourish. '</p> <p>One example is the archiving of documents from the collection of Hungarian filmmaker András Kisfaludy, who collected recordings and films from the rock counterculture of the 1950s, 1960s, and 1970s. Kisfaludy himself was a musician&nbsp;and activist who&nbsp;refused to follow the ideological and artistic lines dictated by the state.</p> <p>'If you think that everything was only depending on the politicians, then you cannot understand what happened in 1989,' said Dr Horvath. 'Cultural opposition paved the way for democratisation. '</p> <p>Researchers are also endeavouring to highlight minorities and religious movements and their roles in a communist state. Communism sought to create a one-sided monoculture with no role for minorities or non-conformists of any kind.</p> <p>'If you belonged to a minority and created something to represent that group, that was almost enough to be counted as opposition,' said Dr Horvath.</p> <p>Other groups such as religious orders, as well as LGBT and women's groups, developed oppositional culture that also challenged state-supported ways of thinking. Dr Horvath says that showing broader swaths of opposition to the public can help them see themselves as more than just victims or perpetrators.</p> <p> <div class="quote-view quotesBlock quote_horizontal"> <div class="quotesTop"><img src="https://horizon-magazine.eu/sites/all/themes/horizon/images/quotes_top.png" alt="" title="" /></div> <p>'For us, the point is to open up a dialogue with different types of visitors of the exhibitions. '</p> <blockquote><p>Prof. Klaus Schönberger, Alpen-Adria-Universität Klagenfurt, Austria</p></blockquote> <div class="quotesBottom"><img src="https://horizon-magazine.eu/sites/all/themes/horizon/images/quotes_bottom.png" alt="" title="" /></div> </div> </p> <p>'There has already been some impact, since we introduced and spread the term cultural opposition. A larger part of the population can be represented as people who had a different way of thinking than the official socialist regime,' Dr Horvath said.</p> <p>'If people start to communicate on this period in a different way, it can foster more trust in those institutions which archive the independent cultural production of the communist period. '</p> <p>Sometimes confronting historical truths can mean dealing with troublesome or disturbing artefacts. Prof Klaus Schönberger is heading a project at the Alpen-Adria-Universität Klagenfurt in Austria that looks at how best to do this.</p> <p>His TRACES team is organising a series of&nbsp;creative co-productions that use art to foster dialogue between parties in conflict.</p> <p>'For example, we have a project about the Troubles in Northern Ireland focused on the Long Kesh/Maze Prison,' Prof. Schönberger said. 'At the beginning, it was really impossible to have a communication with the political factions. '</p> <p><strong>Imprisoned</strong></p> <p>As the main detention centre for terrorists on both sides of the decades-long Northern Ireland conflict, the prison was the focal point of much division.&nbsp;The team in Belfast, Northern Ireland, have used the arts to organise a conference where both sides came together on a topic that resonated for both, since each side had community members imprisoned.</p> <p>Another activity, about the Jewish community of Transylvania in Romania, is called 'The Absence Of Heritage'.</p> <p>Artist Anton Răzvan and historian Julie Dawson teamed up to curate an exhibition in a synagogue with artefacts that range from primitive art to weapons of extermination.</p> <p>'If you see them, you feel shame. It’s very complicated to look at them. It’s not just because of the content but because of the way they were made. There is nothing abstract. It’s not art in the classical sense,' Prof. Schönberger said.</p> <p>TRACES researchers plan to release a manual for curators with recommendations on how to discuss and exhibit awkward objects.</p> <p>'For us, the point is to open up a dialogue with different types of visitors of the exhibitions. It may not be art that is marketable, but it has different type of value,' Prof. Schönberger said.</p> <p>'We can show how to manage the conflicts of our history in a productive way,' he said. 'As part of a common cultural heritage instead of just remembrance. '</p> <p><em>All research in this article is funded by the EU. If you liked this article, please consider sharing it on social media.</em></p> <p><em><a href="http://bit.ly/newsalertsignup" target="_blank" rel="noopener noreferrer"><img class="" src="https://horizon-magazine.eu/sites/default/files/news-alert-final.jpg" alt="" width="983" height="222" /></a></em></p> <br /> <img src=”http://www.google-analytics.com/collect?v=1&tid=UA-40077089-1&cid=confronting-cultural-history-leads-to-stronger-european-identity&t=event&ec=republish&ea=read&el=confronting-cultural-history-leads-to-stronger-european-identity&cs=republish&cm=republish&cn=republish&cm1=1" /> This post <a href="https://horizon-magazine.eu/article/confronting-cultural-history-leads-stronger-european-identity.html">Confronting cultural history leads to stronger European identity</a> was originally published on <a href="https://horizon-magazine.eu/">Horizon: the EU Research &amp; Innovation magazine | European Commission</a>. As a historian at the Hungarian Academy of Sciences, Dr Sándor Horváth hopes that tying together archives, museums and private collections that focus on the culture of dissent under communism can enable Europeans to better understand one another. He works on the EU-funded COURAGE project, which aims to understand the cultural heritage of dissent in the former socialist countries. COURAGE, which is ongoing, is a registry of cultural opposition in former socialist countries in Europe, in both private and public collections. Dr Horvath says that those intercultural connections laid the groundwork for the blossoming of democratisation movements in the late-1980s and the 1990s. 'These states started to integrate with other European countries well before the fall of the Iron Curtain. It's very important to show that the people living in these countries were already somehow thinking that they were part of a European community even if they were not conscious about it,' he said. Researchers from his team are using exhibitions of artefacts from that time to help bridge the cultural gap between East and West, as well as introduce to the broader public how ex-socialist countries kept pace with Europe as a whole. Many artists have achieved wider recognition in the art scene since the fall of communism, like painters from the 1960s and 1970s avant-garde such as Czech modernist Mikuláš Medek or Bulgarian resistance artist Atanas Patsev. One example is the archiving of documents from the collection of Hungarian filmmaker András Kisfaludy, who collected recordings and films from the rock counterculture of the 1950s, 1960s, and 1970s. Kisfaludy himself was a musician and activist who refused to follow the ideological and artistic lines dictated by the state. Researchers are also endeavouring to highlight minorities and religious movements and their roles in a communist state. Communism sought to create a one-sided monoculture with no role for minorities or non-conformists of any kind. 'If you belonged to a minority and created something to represent that group, that was almost enough to be counted as opposition,' said Dr Horvath. Other groups such as religious orders, as well as LGBT and women's groups, developed oppositional culture that also challenged state-supported ways of thinking. Dr Horvath says that showing broader swaths of opposition to the public can help them see themselves as more than just victims or perpetrators. 'There has already been some impact, since we introduced and spread the term cultural opposition. A larger part of the population can be represented as people who had a different way of thinking than the official socialist regime,' Dr Horvath said. Sometimes confronting historical truths can mean dealing with troublesome or disturbing artefacts. Prof Klaus Schönberger is heading a project at the Alpen-Adria-Universität Klagenfurt in Austria that looks at how best to do this. His TRACES team is organising a series of creative co-productions that use art to foster dialogue between parties in conflict. As the main detention centre for terrorists on both sides of the decades-long Northern Ireland conflict, the prison was the focal point of much division. The team in Belfast, Northern Ireland, have used the arts to organise a conference where both sides came together on a topic that resonated for both, since each side had community members imprisoned. Another activity, about the Jewish community of Transylvania in Romania, is called 'The Absence Of Heritage'. Artist Anton Răzvan and historian Julie Dawson teamed up to curate an exhibition in a synagogue with artefacts that range from primitive art to weapons of extermination. 'If you see them, you feel shame. It’s very complicated to look at them. It’s not just because of the content but because of the way they were made. There is nothing abstract. It’s not art in the classical sense,' Prof. Schönberger said. TRACES researchers plan to release a manual for curators with recommendations on how to discuss and exhibit awkward objects. 'For us, the point is to open up a dialogue with different types of visitors of the exhibitions. It may not be art that is marketable, but it has different type of value,' Prof. Schönberger said.